This Hot BBQ Rub is a savory, sweet and spicy punch of power-packed flavor. And you can’t beat the pretty, mahogany color it gives to pork, beef, seafood, or poultry. 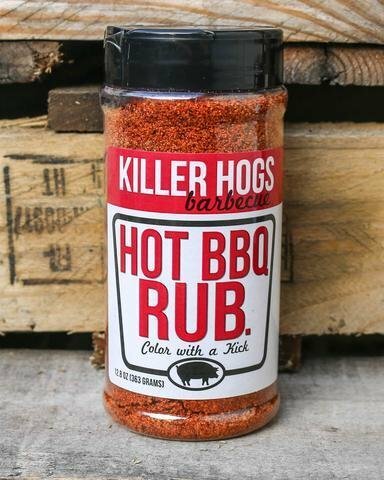 When you want to add a little kick to your BBQ, reach for Killer Hog’s Hot BBQ Rub.